This model starts out its run in Bachmann's product line as a standard level offering introduced in 1984. 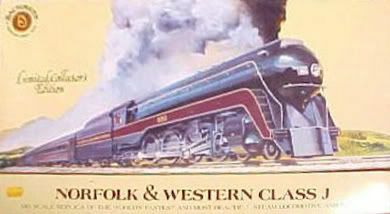 In the 1980s, the Norfolk & Western Class J carried road number 600 and featured operating headlight and smoke. The 1984 catalog shows the model with an $80 retail price, by 1986 the price is $84. This steam locomotive was taken to the Bachmann Plus line in the 1990s, and on to the Spectrum line. Today, the Class J 4-8-4 is included in Bachmann's standard line. 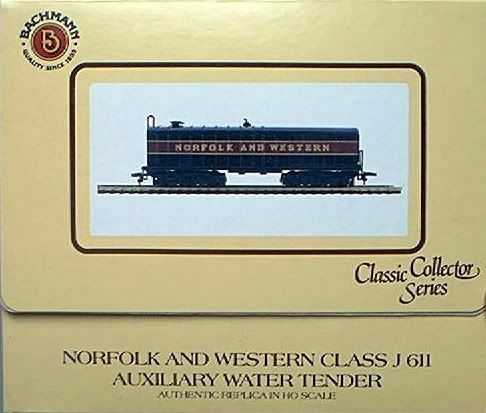 The 1986 Bachmann catalog lists the Auxillary Water Tender for the N&W J 4-8-4 steam engine as a NEW item with a $15 retail price. 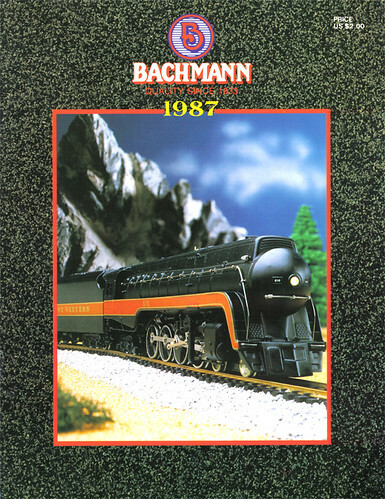 The 1987 Bachmann catalog featured the Norfolk & Western Class J 4-8-4 on its cover.